Allegations against an employee may or may not be justified, but what really matters in terms of employment law is that they are fairly investigated. 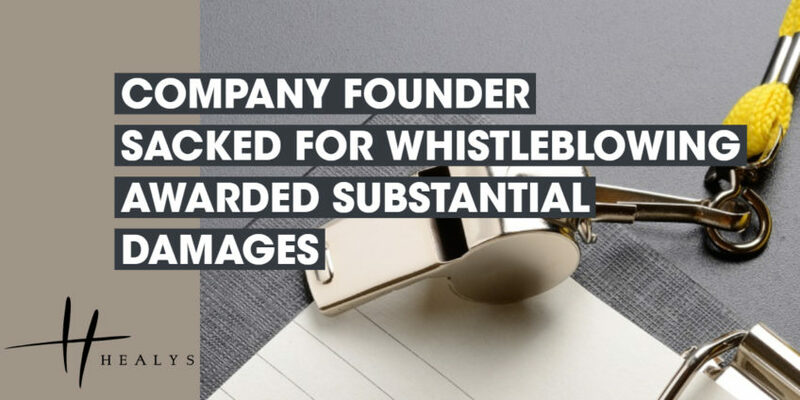 A medical recruitment company that signally failed in that task before summarily dismissing its CEO for whistleblowing was ordered to pay her substantial damages (Rizvi v Capital Care Services (UK) Limited). The woman worked for the company, which she had founded, for 11 years before it failed an official audit and was suspended from supplying staff to the NHS. Via a solicitor, she sent a letter to senior managers of the company complaining of alleged financial irregularities. At a subsequent board meeting she was accused of fraud, dishonesty and bringing the company into disrepute and was dismissed on the spot. After she launched proceedings, an Employment Tribunal (ET) found that she had been automatically unfairly dismissed for whistleblowing, contrary to the Employment Rights Act 1996. The letter amounted to a protected disclosure of information which she reasonably believed to be in the public interest and to reveal the commission of a criminal offence. She had been subjected to detriment for whistleblowing in that her company email and telephone were cut off and she was threatened with dismissal. After she was accused of fraud, she was informed that national newspaper journalists would be tipped off and sent to her home. The latter threat had caused her anxiety to the extent that she had been prescribed sleeping tablets. In also upholding her ordinary unfair dismissal claim, the ET noted the complete lack of fairness in the decision to summarily dismiss her. Her treatment – particularly the threat of press exposure – was oppressive and, despite the gravity of the accusations made against her, the company had shown no apparent interest in fairly investigating them. The company was ordered to pay her a total of £57,273 in damages, including £8,761 for injury to her feelings.